A composer, singer, multi-instrumentalist, actor & storyteller, Cameroon-born Njamy Sitson has appeared in numerous festivals all over Europe. 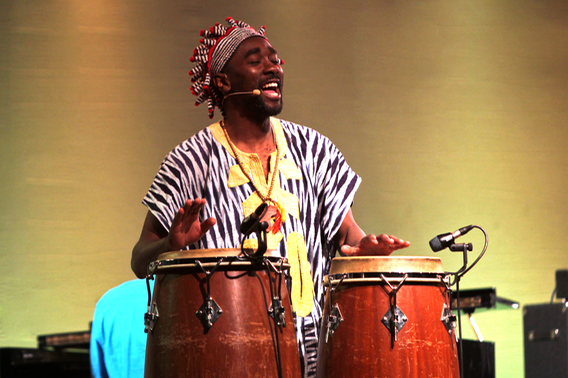 His voice artistry embraces the whole range of African singing culture. The sudden shift from a powerful chest voice to an almost angelic flute-like head register has become his appealing trademark. His recent CD „African Angel“ embodies a music without frontiers where Pygmy chants meet baroque counterpoint and unbound drums are being tamed by classical strings.